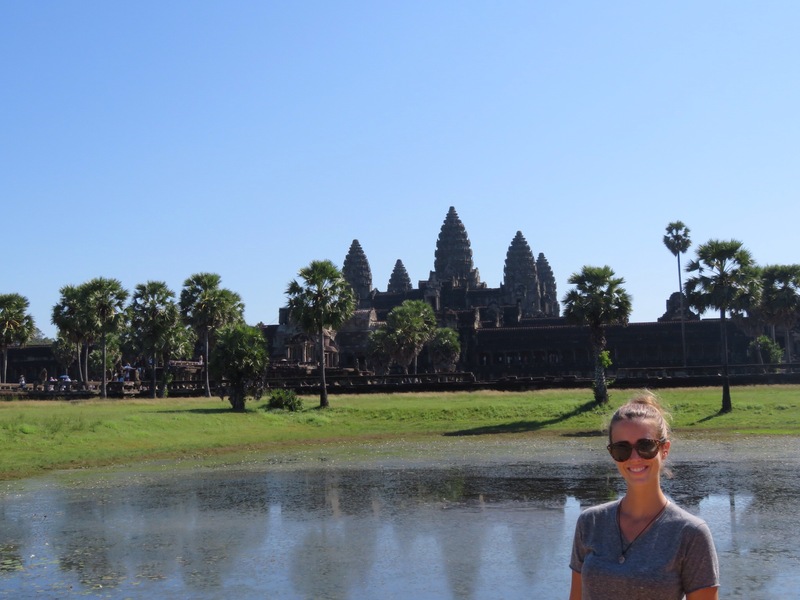 Siem reap was a place a high on my list. 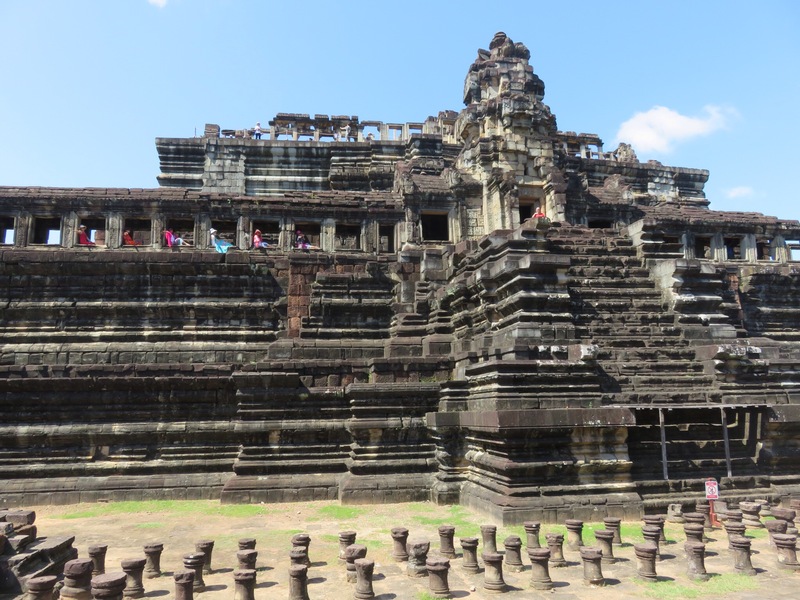 I had seen so many pictures of the temples of Angkor and I couldn’t wait to explore them. 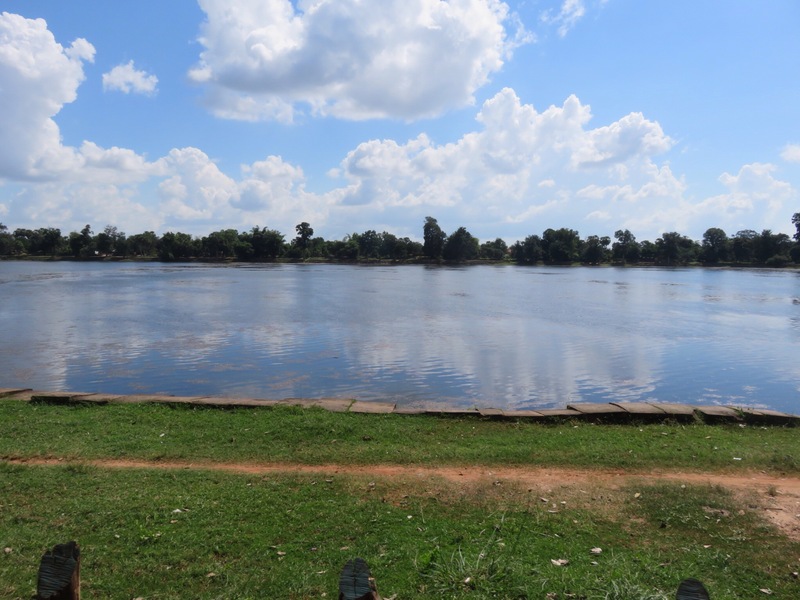 I wasn’t really sure what to expect of Siem reap but it certainly wasn’t what we saw when we arrived. In my mind I pictured quiet, dusty streets with a few local restaurants here and there. In reality it was far more built up and quite touristy, there was even a Burger King being built! 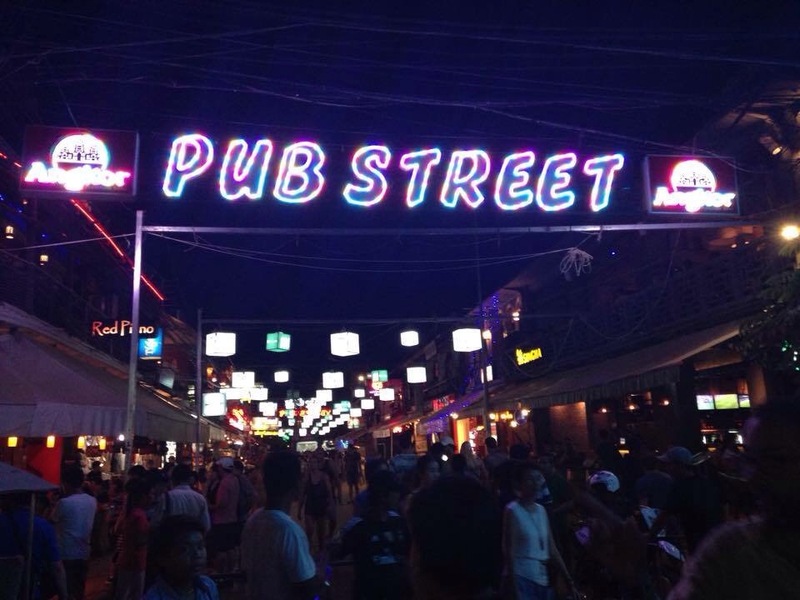 The main tourist drag is actually called Pub street and you guessed it, it’s full of pubs! 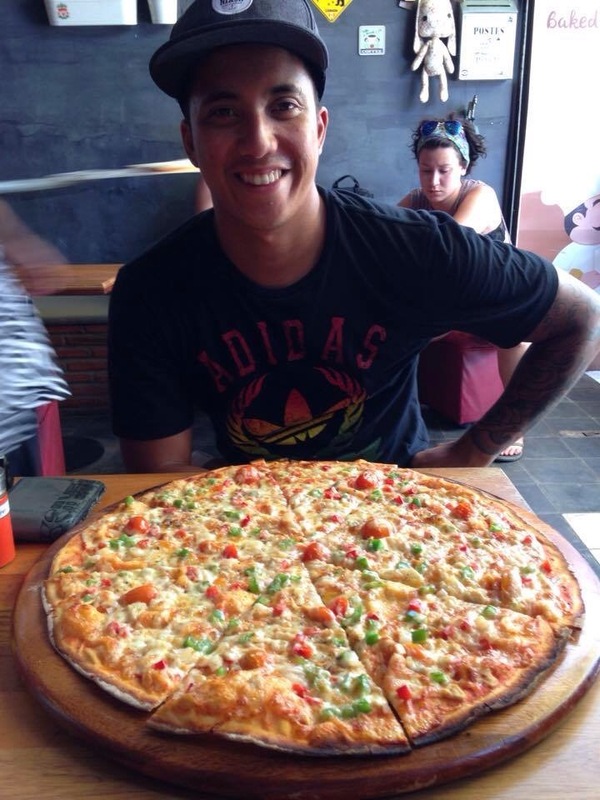 It’s also full of restaurants, backpackers and package tourists wandering around. Don’t get me wrong, it certainly isn’t westernised or overly touristy, it has a really cool vibe to it. Lots of places have all day happy hour and at almost every single bar or restaurant you will find 50c draft beers. There is also a night market full of food and clothing stalls which is definitely worth checking out. We stayed at Panary guesthouse which was awesome! Although it wasn’t in the main area of town it didn’t matter as there were restaurants near by and all tuk tuk’s around town cost $2. We organised our temple tours with the tuk tuk driver from the hotel. He was a really nice guy, the same age as us. You have an option of a 1, 3 or 7 day temple pass. We went with the 3 day one. On our first day the driver gave us the option of doing the ‘small tour’ or the ‘grand tour’. We chose the small tour as we thought we’d just ease ourselves into it the first day to avoid ‘temple burn out’. Wrong!! For some reason the ‘small tour’ is actually the largest one. We saw around 12 temples over 8 hrs in 30+ degree heat (wearing pants and a t-shirt for respect). It was HOT and very tiring. 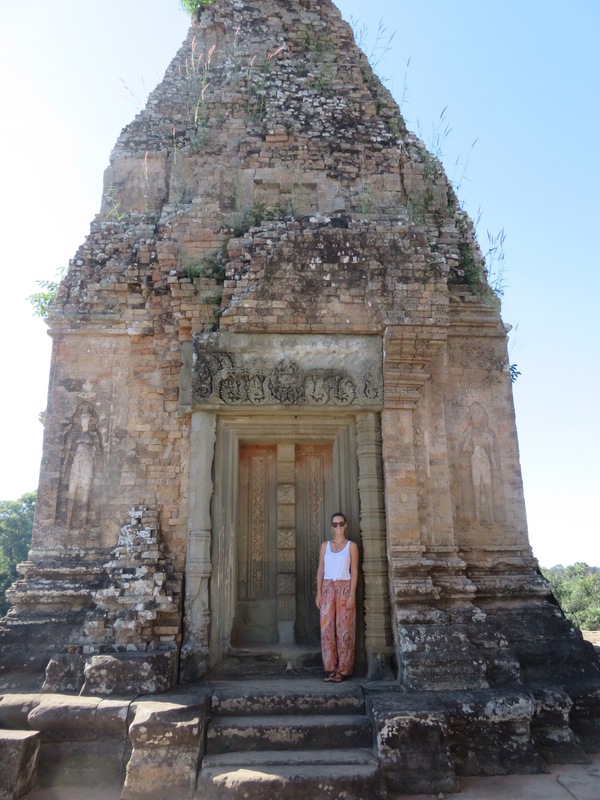 We were so excited to get back into the tuk tuk after each temple to get a nice breeze as we drove to the next one. It was a tough but rewarding day. I lost track of the names of the temples by the end of it, they all just blurred into one. The next day we visited four temples. One of them was surrounded by water and another used to be used as a Monk university which was really cool to see. We decided to have the next day off as after the two days we were so tired and a little over temples. All the walking and the heat really takes it out of you. 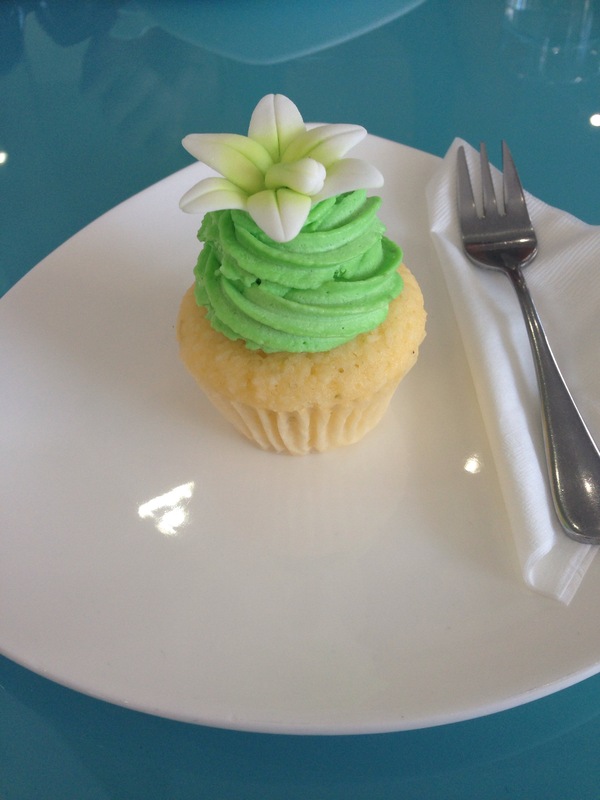 We spent the day wandering around town, eating the biggest pizza ever and finding a delicious cupcake shop! 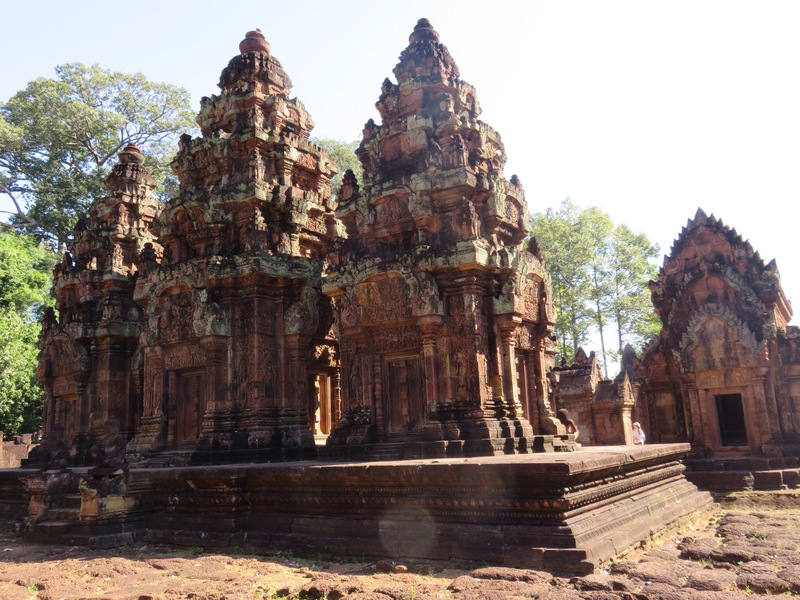 On our final day we drove an hour out of town to the temple called Bantaey Srei which translates to ‘Citadel of women’. It was by far the most intricate temple we had seen. It has the most amazing, detailed carvings on it, it is simply beautiful. 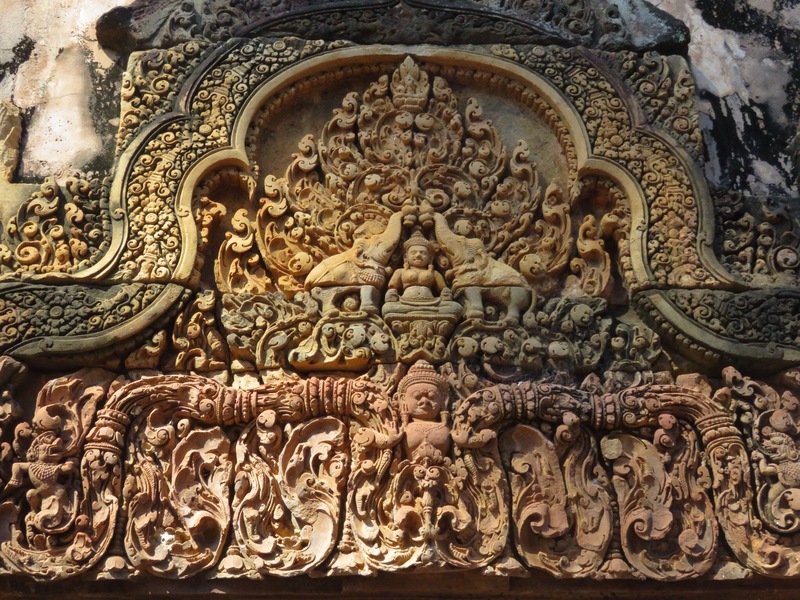 It is called the Citadel of women as they believe the carvings are too detailed to be done by the hand of a man. 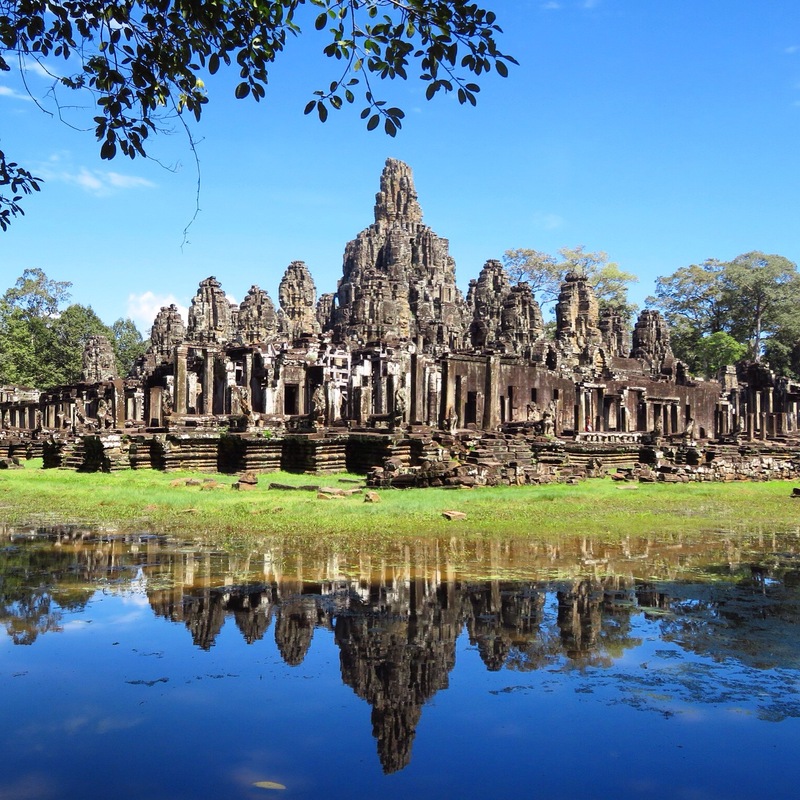 This temple, along with Angkor Wat (the largest religious site in the world), Bayon and Ta Prohm (where tomb raider was filmed) were my favourite temples out of them all. 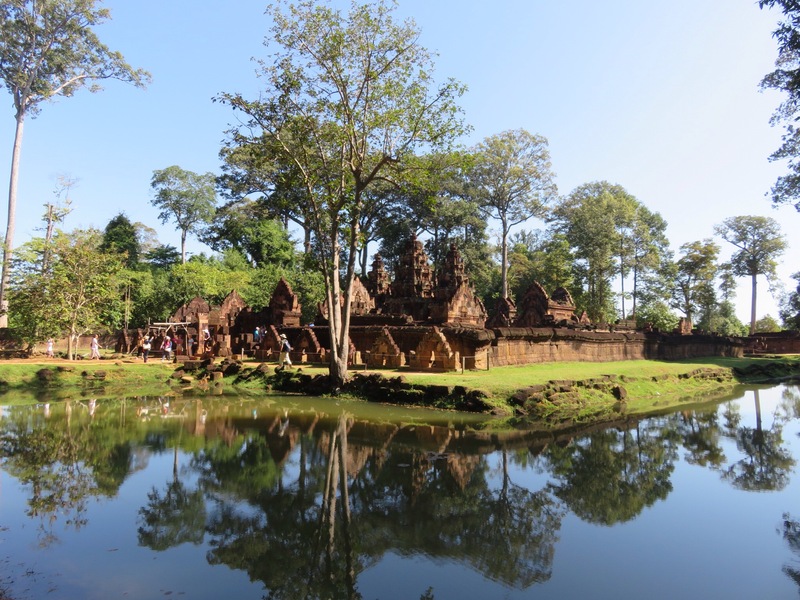 Some of the temples we saw dated back to the 700’s. If only those walls could talk! 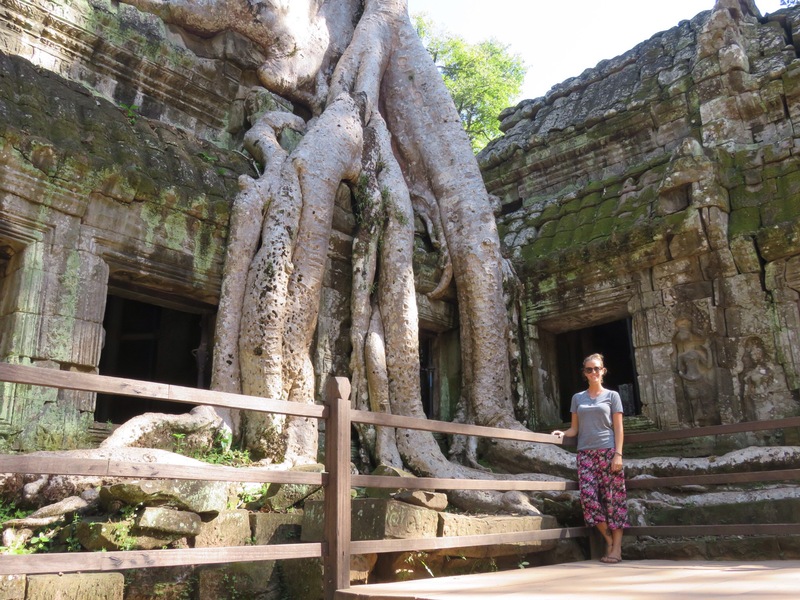 Aside from the temples, Siem reap has a lot to offer. It’s a beautiful city full of lush, green trees and a river down the middle. We spent 5 days here and we regretted buying our bus ticket to Phnom Penh already as we wanted to stay longer. 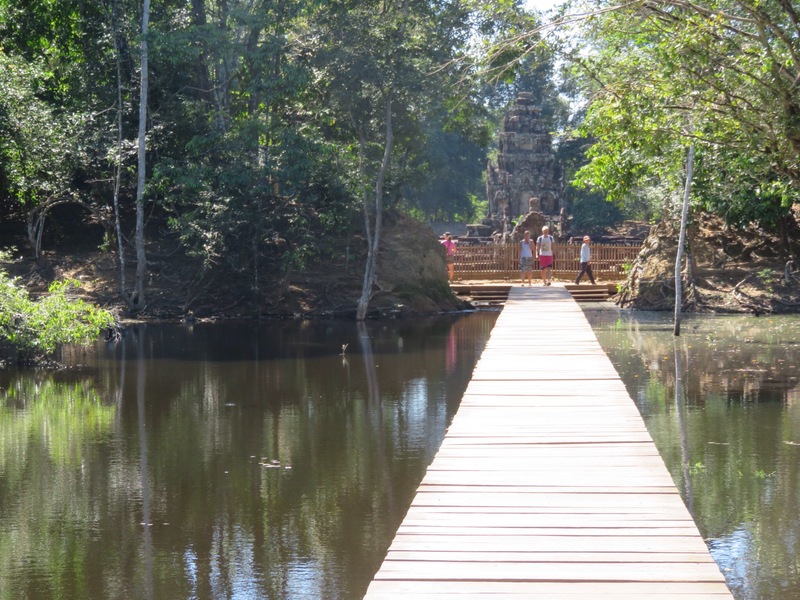 Be prepared to fall in love with Cambodia and its people!